Because we have so few children at school today all the three year old classes have been combined into my classroom. 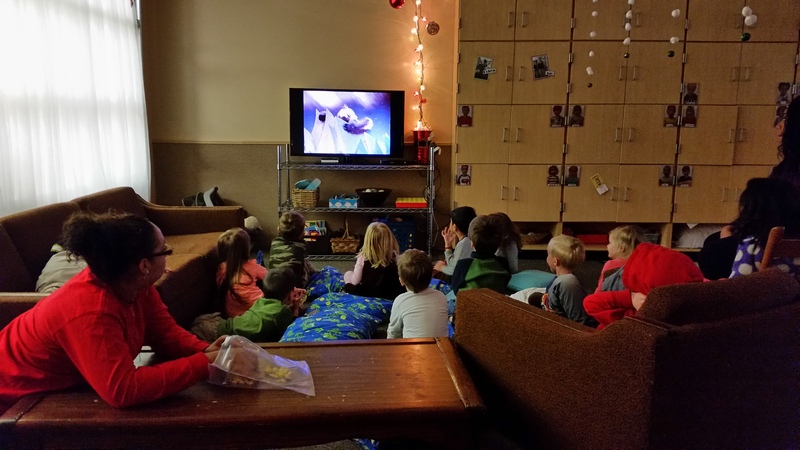 My co-teacher and I decided it’s going to be a movie day…this is something we NEVER do…but today we’re watching Rudolph and LOVING it! Frosty is up next and you know, there is a certain magic in the first snow.